Looking after your eyes is as important as looking after the rest of your body. A regular eye examination should be part of your health routine. If you do need glasses or contact lenses it is important you choose what is best for you. 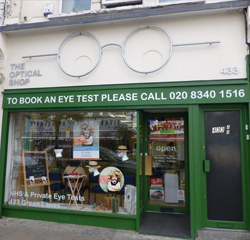 In this section you can learn all about eye examinations and discover the sort of eye wear best suited to your needs. You can also find out more about the people who look after your eyes. If you have learning disabilities, or support someone that does, you may also find the See Ability website useful. Your eyes are the most complex organs that you possess apart from your brain. Our vision is probably the most precious of all senses. Treating our eyes well will mean that we will have a more rewarding experience by seeing better. We are an aging population and so need to make our eyes last longer in our lifetime.